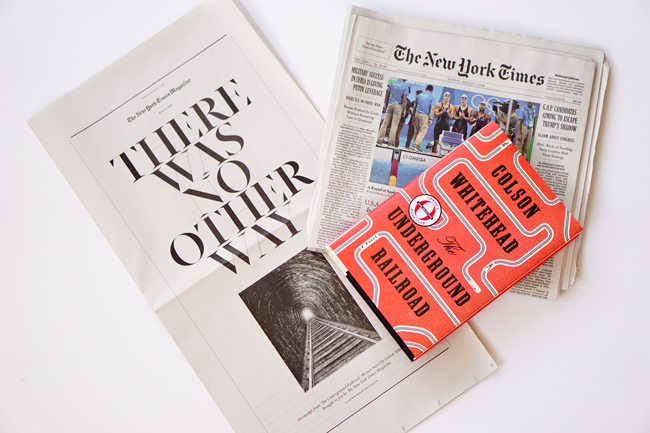 The big story when Colson Whitehead's The Underground Railroad (2016) was published was that the work was an Oprah Winfrey Book Club selection. That story was, no doubt, important, and it may have overshadowed some other fascinating story lines associated with the promotion of Whitehead's novel. 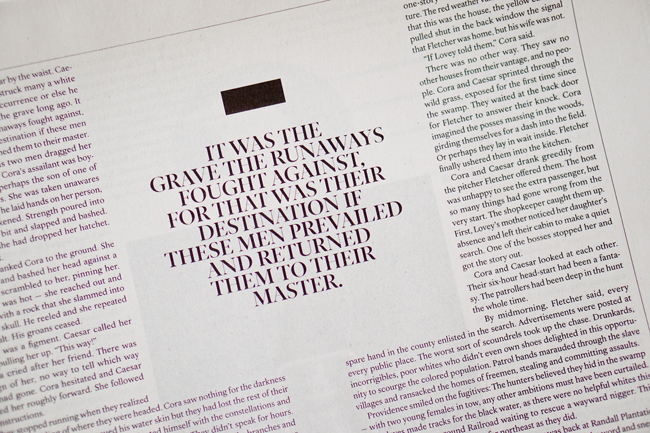 In particular, less than a week after Winfrey's announcement of The Underground Railroad as a selection, the New York Times published a print-only, stand-alone, 16,000-world excerpt from the novel. The production was an extraordinary production, especially during our current age of digital productions. Devoting so much attention to an individual author and his work was remarkable. The Times has provided longstanding coverage of Whitehead and his books. All of his novels and his two nonfiction works were reviewed in the newspaper. In addition, the Times has provided additional coverage on Whitehead and published his reviews and essays. The special stand-alone excerpt from The Underground Railroad was, in some respects, an extension of the previous support that the paper had offered the novelist for more over a decade and a half.